We seldom go to SM Megamall nowadays because of the traffic but once we do, we make it a point to visit our favorite restaurants. It was actually my daughter who discovered Nadai Fujisoba about a couple of years back and it left quite an impression. 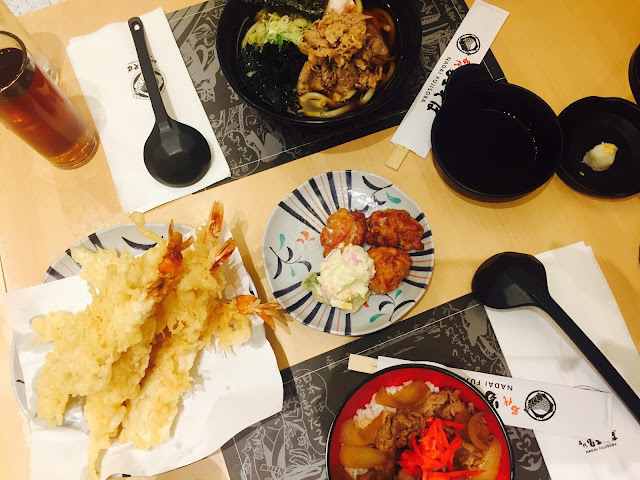 We enjoyed the udon and the soba noodles so this time around, we tried the other items on the menu. For starters, we had the Karaage. 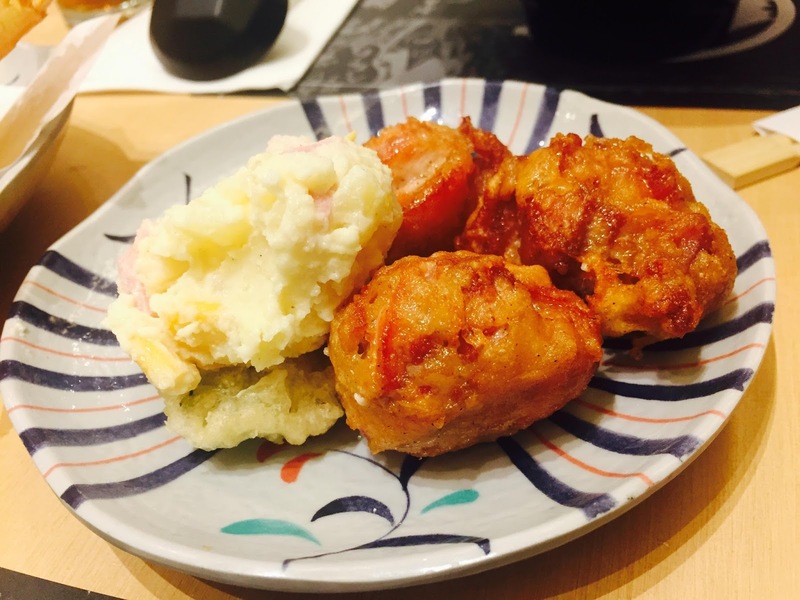 The serving size is huge compared with the tiny karaages I've had in other restaurants. I also love that its paired with potato. Yum! Of course, we got some fat and juicy Ebi Tempura. Some of my friends judge a Japanese restaurant based on its tempura so I'm sure they will enjoy the ones at Nadai Fujisoba. 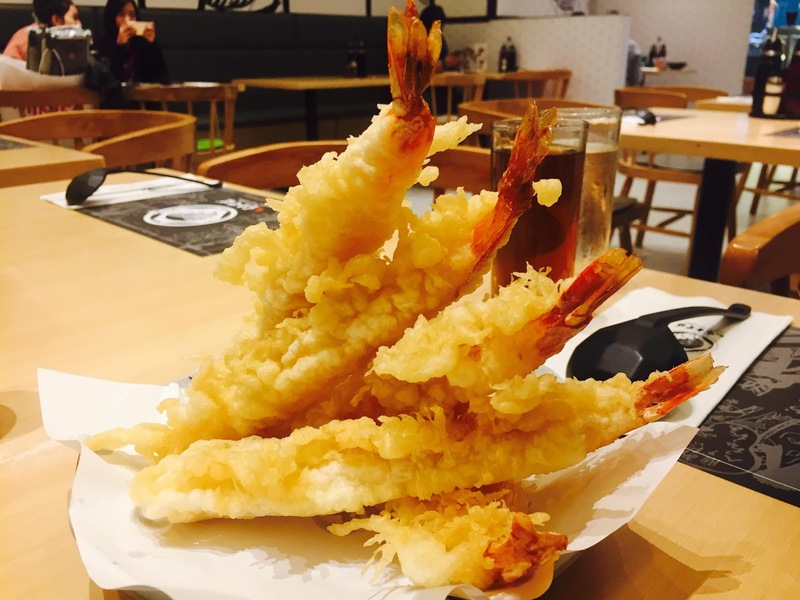 The shrimp is quite plump and that you can actually tastes it, unlike other tempuras wherein you'll have a hard time finding the shrimp since its more on batter. Thumbs up! 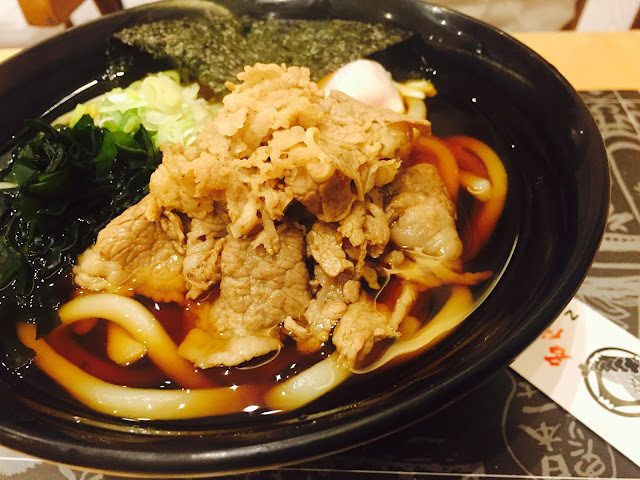 Here's the Beef Udon. See how fat the udon noodles are? Another thing that I like is that its cooked al dente. The noodle itself is chewy and not soggy. The soup is perfect also. And here's what I got since I am curious about the restaurant's Gyudon. I'm not sure if they have a kiddie size because this is huge (for my appetite, anyway). However, I am not really a gyudon expert but I find this one tasty and has lots of meat. 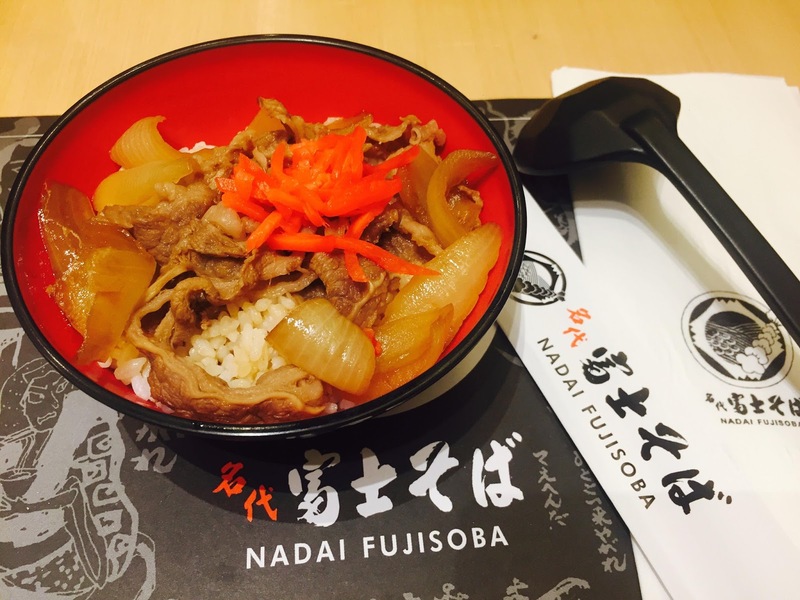 Overall, we had a hearty lunch at Nadai Fujisoba and will definitely visit again if we happen to go to SM Megamall.